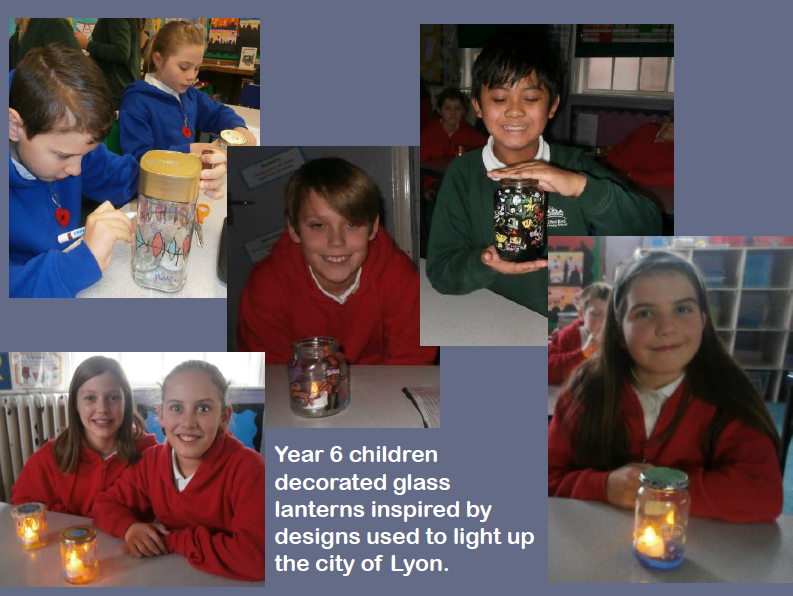 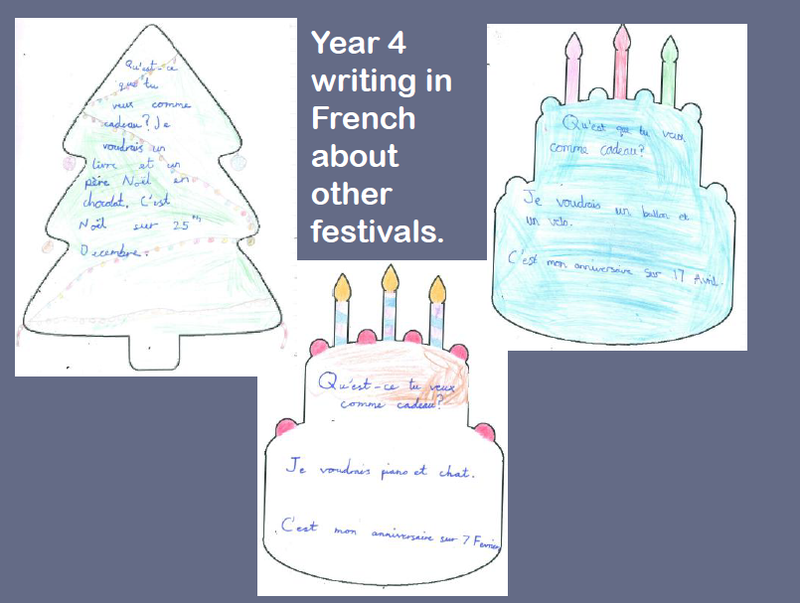 Children in Key Stage 2 learn French as a foreign language. 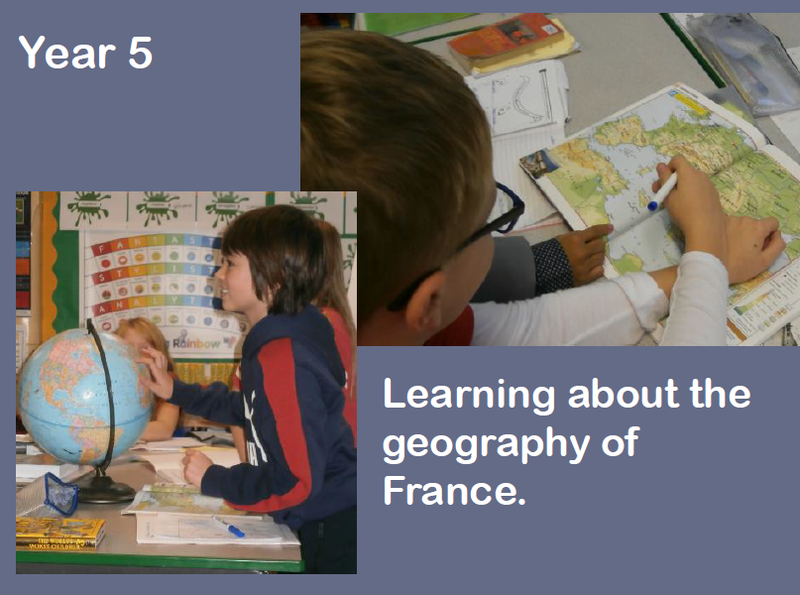 Teachers currently use the Rigolo scheme and units of work, which combine traditional methods of language learning alongside the use of multimedia materials. 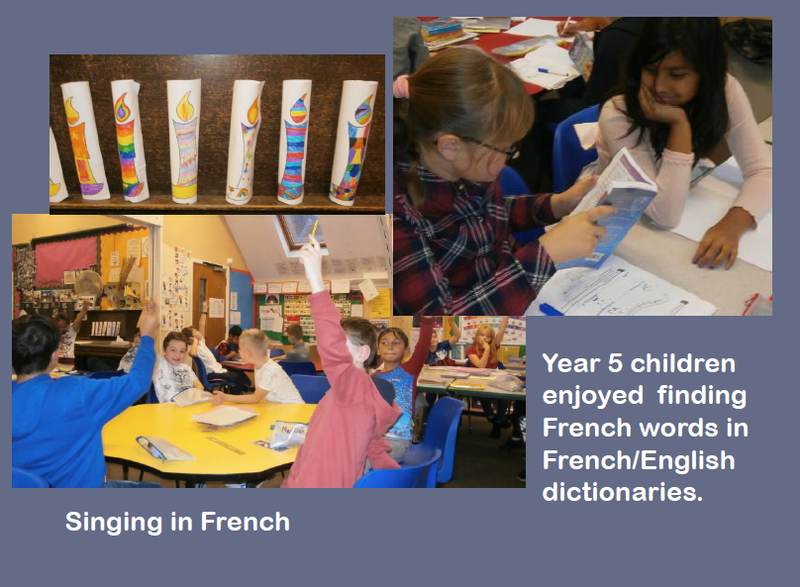 Rigolo is closely matched to the National Curriculum framework in its selection of teaching and learning activities and by its promotion of language learning strategies and development of knowledge about how the language works. 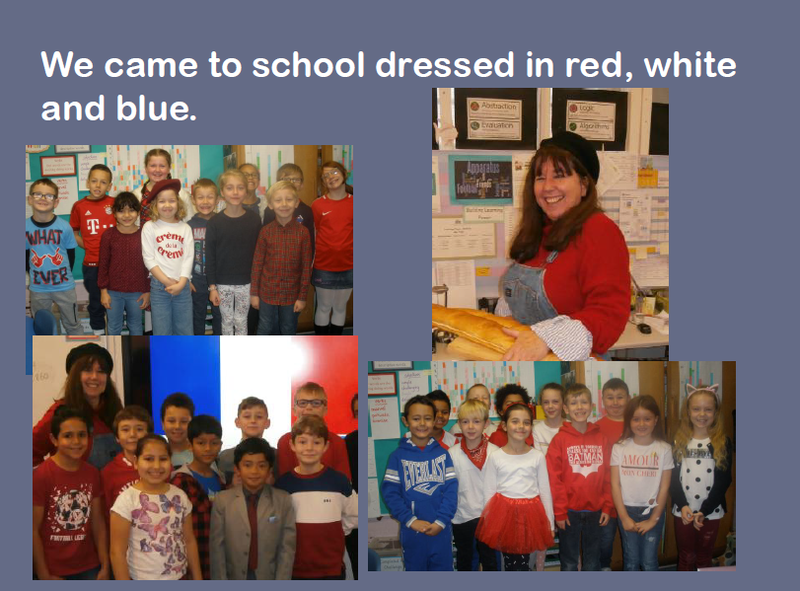 Alongside Rigolo, teachers use songs and stories to promote the learning of French. 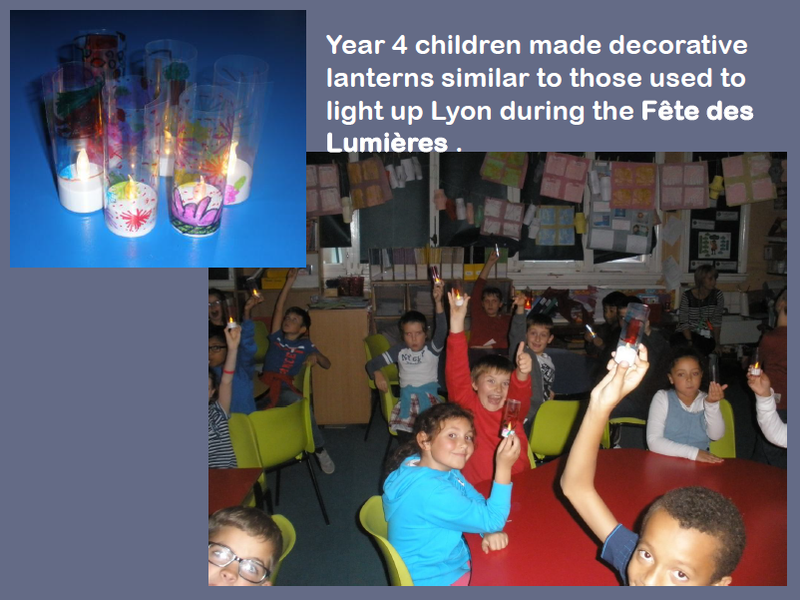 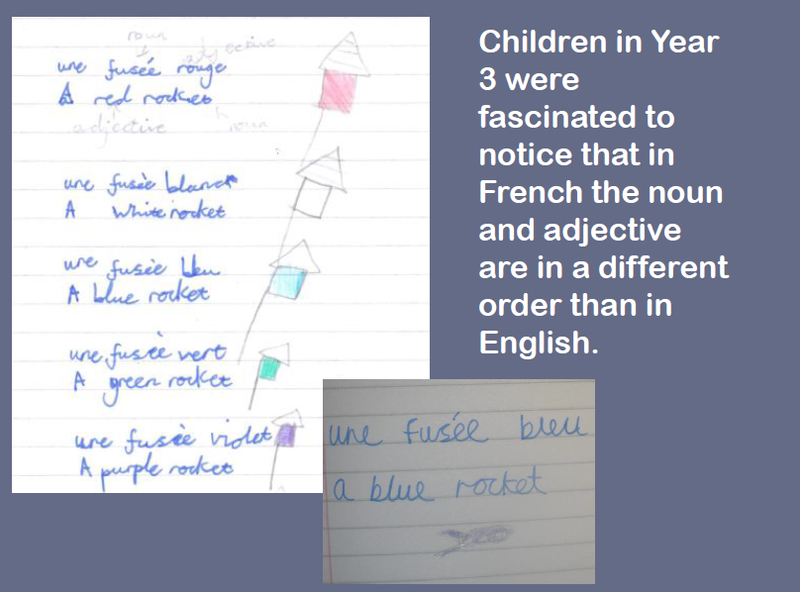 Children are encouraged to learn and use everyday French vocabulary in their classroom routines. 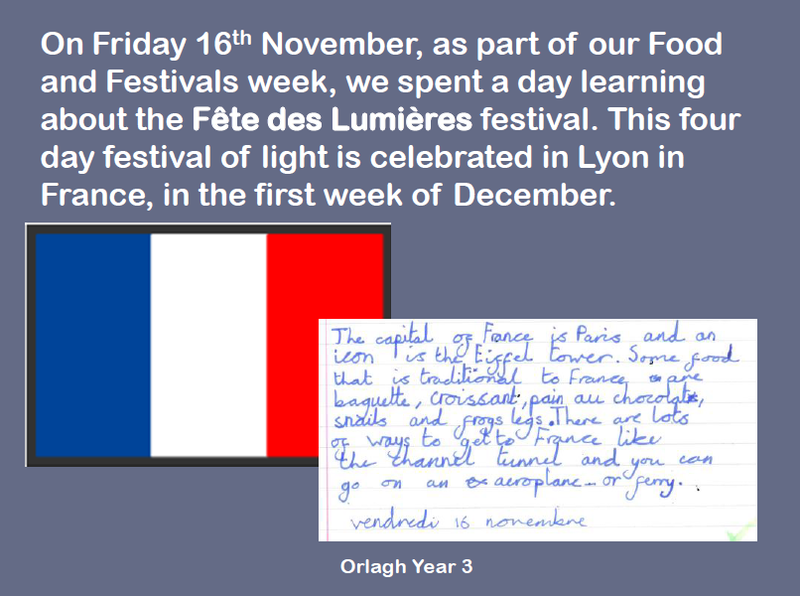 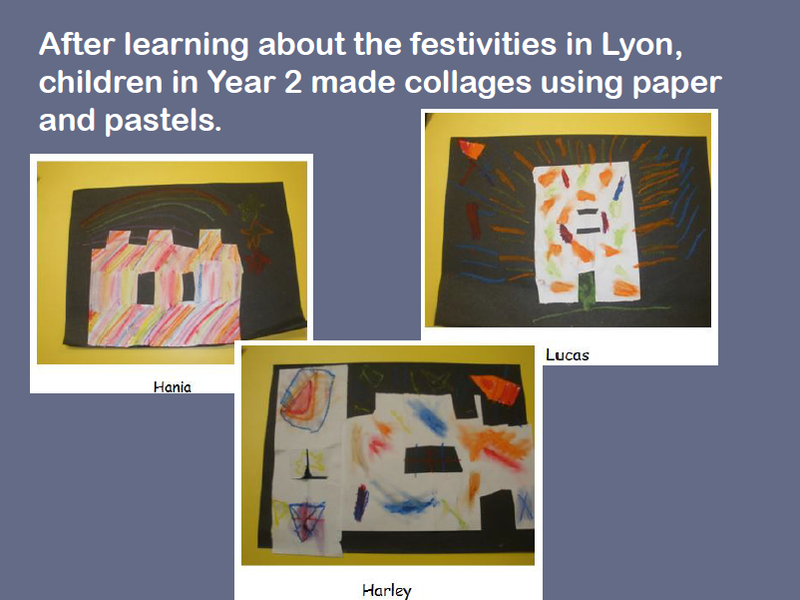 French vocabulary is displayed in communal areas of the school and the children’s French work is displayed in corridors. 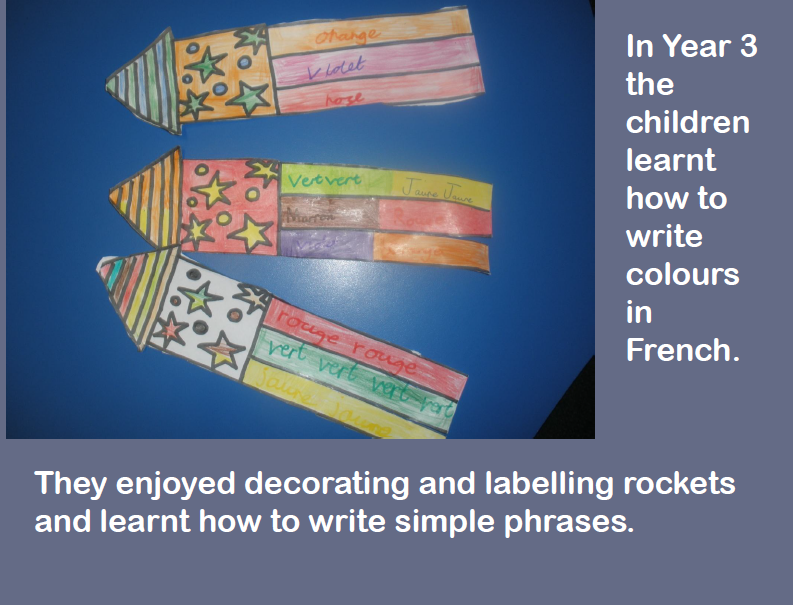 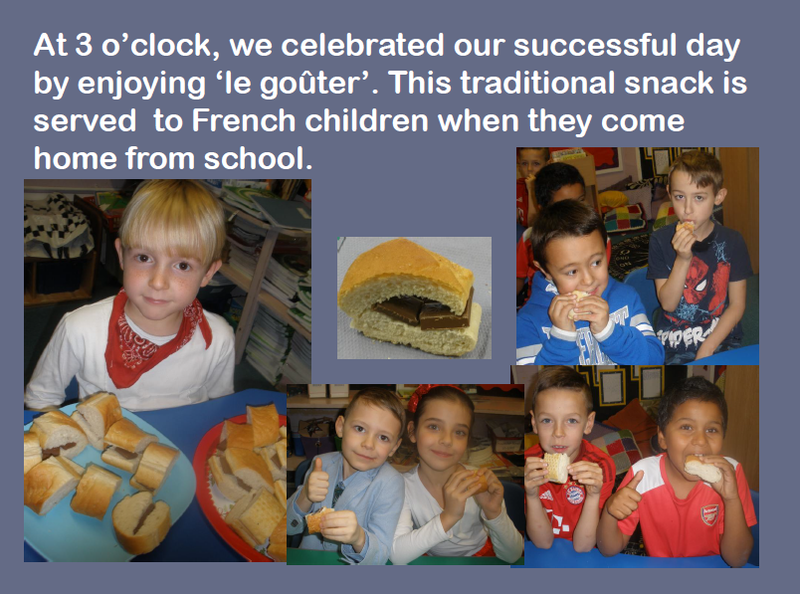 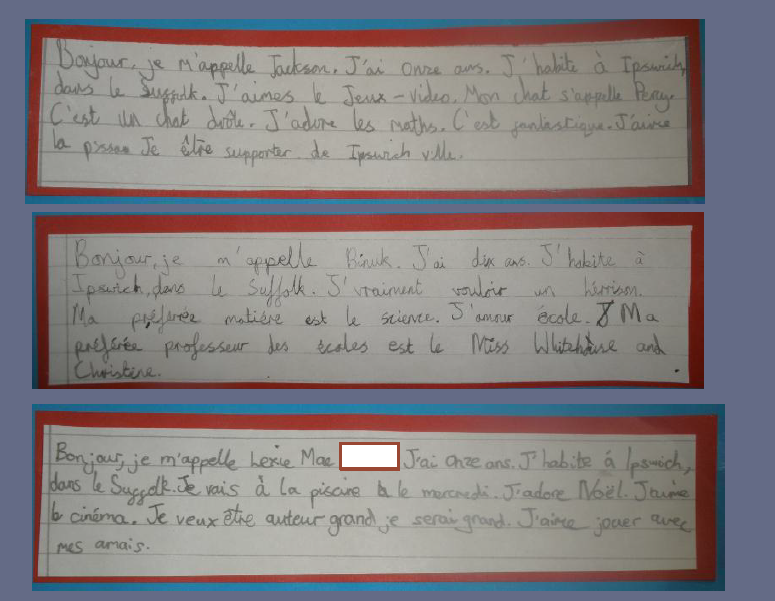 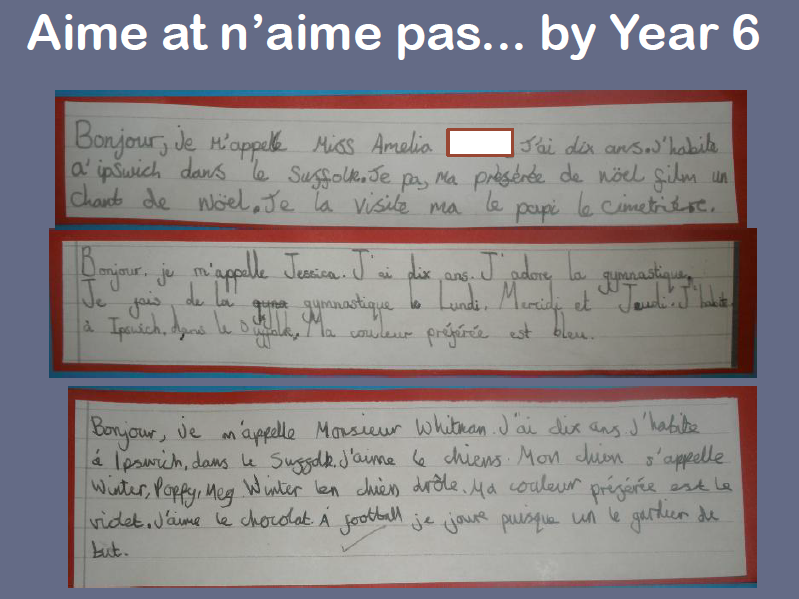 In Key Stage 2 we learn to write words, phrases and sentences in French.